A MESMERIZING MYSTERY IN THE TRADITION OF "THE GIRL WITH THE DRAGON TATTOO" AND 'THE KILLING"
Chicago, IL (April 18, 2013) - A decades-old unsolved murder of a young girl bears an eerie resemblance to the recent disappearance of a 13-year-old, sparking a harrowing investigation into the mystery of the seemingly parallel crimes in The Silence , the startling new crime thriller by debuting feature filmmaker Baran bo Odar. Based on the novel The Silence by Jan Costin Wagner, The Silence ominously begins with a young girl who is brutalized and murdered on a hot summer day by Peer (Ulrich Thomsen) as his helpless friend Timo (Wotan Wilke Mohring) watches. The unresolved crime yields two decades of grief, guilt and obsession in the lives of everyone connected to the victim. But when a 13-year-old girl goes missing 23 years later--on the same day and the very same spot as the original murder--the police suspect that the same killer may have resurfaced. Unhealed wounds are opened and fresh dangers appear as detectives, parents, the retired investigator of the first case, and Timo himself set out to uncover the truth and search for the outwardly healthy Peer, whose murderous instincts lurk right beneath the surface. Music Box Films Home Entertainment will release The Silence on Blu-ray, DVD, VOD, and Digital Download for the first time on July 23, 2013 (prebook June 18, 2013) following its theatrical rollout to theaters in the U.S.'s top 25 markets in 2013. 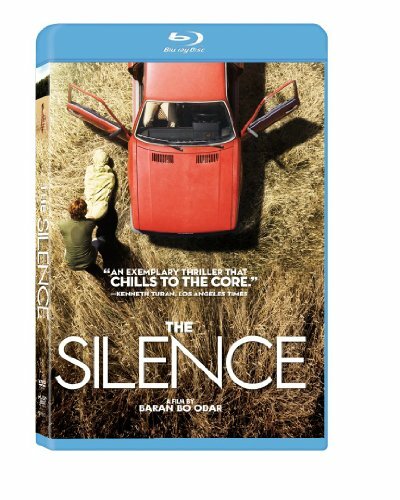 The DVD and Blu-ray of THE SILENCE will include a host of bonus features and carry the suggested retail price of $29.95 and $34.95, respectively. With the critical and commercial success of The Silence around the world, writer/director Baran bo Odar has emerged as a major new presence on the international film scene. The Swiss-born filmmaker garnered "Directors To Watch" honors for The Silence at the 2011 Palm Springs International Film Festival, along with the film picking up nominations for Best Film at the Nuremberg Film Festival, the Critics Award by the German Film Critics Association, and the Golden Lady Harimaguada at the Las Palmas Film Festival. With its striking visual style, intensely complex story and outstanding performances by such leading European actors as Ulrich Thomsen (The Celebration), Sebastian Blomberg (The Baader Meinhof Complex), Katrin Sass (Good Bye, Lenin!) and Burghart Klaussner (The White Ribbon), The Silence explodes as a powerful and unforgettable modern crime thriller. On a hot summer day in 1986, a young girl named Pia is brutally murdered in a wheat field by Peer (Ulrich Thomsen), as his helpless friend Timo (Wotan Wilke Mohring) watches. Twenty-three years later, in the present day, on the same date, 13-year-old Sinikka goes missing, her bicycle abandoned in the same spot, leading police to suspect the same killer may be at work again. Recently widowed detective David (Sebastian Blomberg) and his colleague Janna (Jule Boewe) struggle to solve the mystery of these parallel crimes with the help of Krischan (Burghart Klaussner), the retired investigator of the original unresolved case. While Sinikka's distraught parents are trapped in an agonizing period of waiting and uncertainty, their daughter's fate rips open unhealed wounds in the heart of Pia's mother (Katrin Sass) and sends Timo in search of Peer and their own suppressed past. Founded in 2007, Music Box Films has quickly established itself as one of the leading distributors of non-English language feature films in the US in theatres, on DVD/Blu-ray and via Video-on-Demand. Music Box's release of Guillaume Canet's Tell No One was the most popular foreign-language film of 2008. In 2010, the film adaptations of Stieg Larsson's trilogy of international mega-sellers dominated the foreign-language film market. The first in the series, The Girl With The Dragon Tattoo, was one of the most popular international releases of the decade, earning more than $10 million at the U.S. box office. Additionally, Music Box's recent US release of Monsieur Lazhar earned an Academy Award nomination for Best Foreign Language Film. Music Box Films is rapidly expanding into English-language programming, having acquired and released Terence Davies' period romantic drama The Deep Blue Sea, starring Rachel Weisz, and Ira Sachs' Keep The Lights On, winner of the 2012 Outfest Grand Jury Prize and the Berlin International Film Festival Teddy Award. Music Box Films is independently owned and operated by the Southport Music Box Corporation, which also owns and operates The Music Box Theatre, Chicago's premiere venue for independent and foreign films.